Have a question for Villas Aelita Pool Villa Resort? 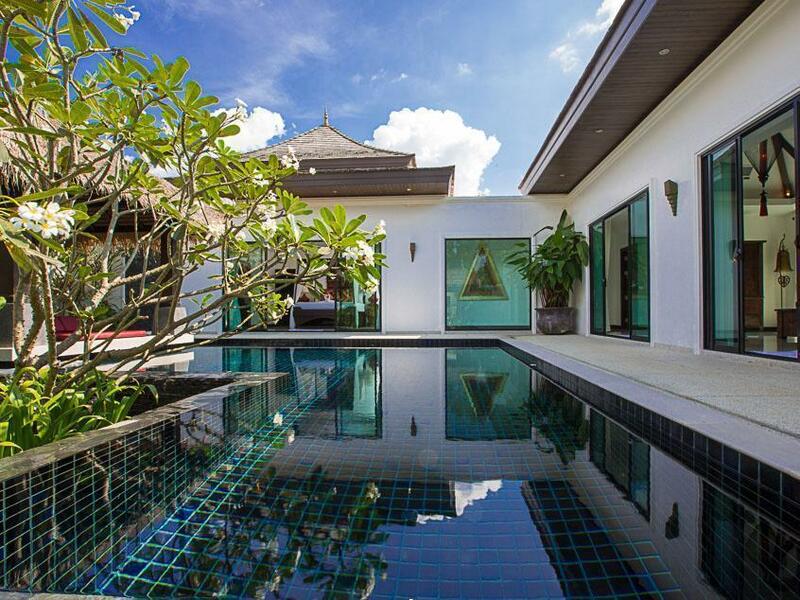 Ideal for fun and relaxation, Villas Aelita Pool Villa Resort is located in the Bang Thao area of Phuket. The hotel is not too far from the city center: just 16 km away, and it normally takes about 15 minutes to reach the airport. A haven of rest and relaxation, the hotel will offer total renewal just steps away from the city's numerous attractions such as Wat Thep Krasattri, Banyan Tree Golf Club, Laguna Phuket Golf Club. 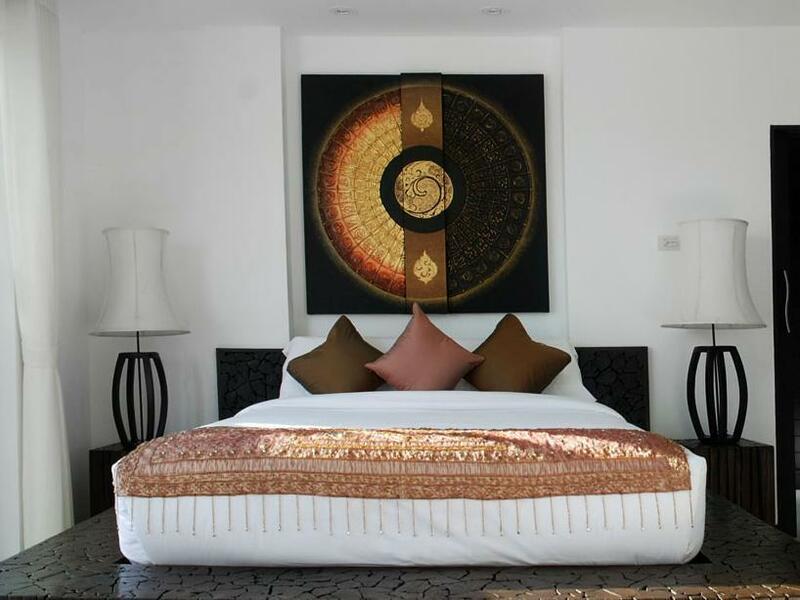 Villas Aelita Pool Villa Resort also offers many facilities to enrich your stay in Phuket. Free Wi-Fi in all rooms, express check-in/check-out, Wi-Fi in public areas, car park, room service are just a few of the facilities that set Villas Aelita Pool Villa Resort apart from other hotels in the city. Step into one of 4 inviting rooms and escape the stresses of the day with a wide range of amenities such as television LCD/plasma screen, internet access – wireless, private pool, internet access – wireless (complimentary), whirlpool bathtub which can be found in some rooms. The complete list of recreational facilities is available at the hotel, including hot tub, outdoor pool, massage, garden. Villas Aelita Pool Villa Resort is an ideal place of stay for travelers seeking charm, comfort and convenience in Phuket. Its actually a group of 8-12 villas with one doorman far from everything. Absolutely nothing within 5-10mins walk at the time i stayed. Impossible if you don't drive. Villa itself was brilliant. Breakfast was not impressed. The property is nice and well maintained, but in a remote location. The taxis and tuk Tuks won't know where the property is and will fleas you as they don't get a passenger on the way back. Quiet, clean bed, espresso machine in only one of the villa. The villas are OK, definitely not 5 stars. On arrival there is no staff to welcome you and complete the check in. We had to call the management office and wait for the cleaning staff to give us a key, would be ok if some of them spoke a little english but they only spoke limited Thai. Thankfully my wife speaks Thai so we were able to communicate with them that way. The first villa we were given was well stocked with dishes, microwave oven, coffee espresso machine, and two bikes that we could have used but did not. There was no pool towels available, had to use our shower towels. After two days, they spoke to my wife in Thai telling her we had to move to an other villa. We asked why. but were not given any definitive answer as to why. We told them we were happy were we were and would prefer to stay there since we had filled up the refrigerator with food and it would be difficult to move everything. They said ok, so we thought and went on our way for our daily activities! After returning to the villa later in the day the cleaning staff was waiting for us to again tell us we had to move! We told them they had to help us with all the stuff in the fridge and they did. The next villa was not well stocked like the first, it had no dishes, no microwave, no espresso machine, and no bikes. The pool was a little dirty because the pump only comes on at night so during the day lots of debris accumulates and floats on top. Also in both villas there is a resident bat that comes in at night through the open ceiling of the bathroom and leaves bat dropping all over the shower floor, not nice to wake up to when you want to take an early shower before the cleaning staff comes in to clean the floor. The place has potential, but they need a resident manager that can speak english who could mitigate the little problems has they come up. Would most likely not repeat our stay there. Nice hotel overall just that the villa has too many idols/statues which i don't quite like it. The room is clean and beautifully decorated. The staff are very friendly and helpful. Yet, it is very hard to find. Everything is not within walkable distance. 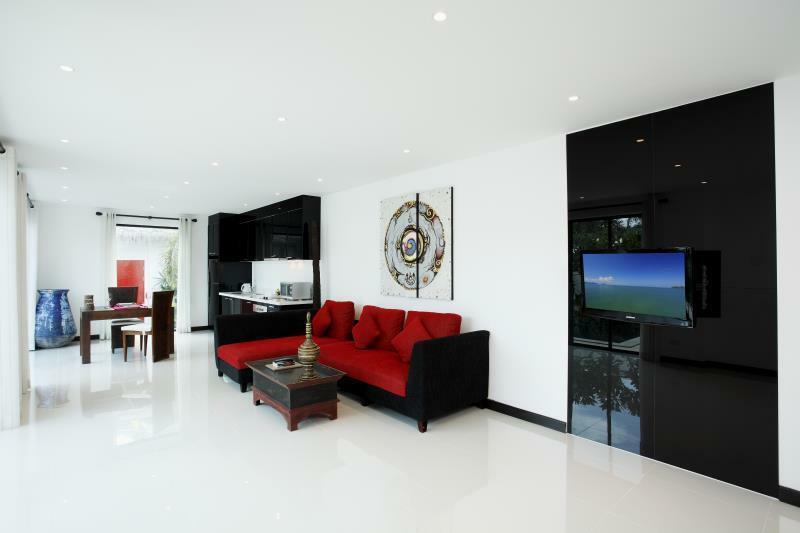 If you are looking for a quiet place to relax, this villa is a very good choice for you to stay in Phuket! this hotel is perfect for people who want to hang around by the pool in there architecturally designed villa. the home is fully self contained and you are able to order food through reception. (not always at the time you want though) it is located about 10 minuets drive from the main town center and restaurants, not ideal for late night trips on your scooter as the location is off the main road and is quite deserted. the main bed is quite firm, with high pillows so if you like a soft sinking bed this isn't for you (or bring your own pillow). ideal for couples, families or groups of friends that want to relax, swim, and not be disturbed. expect a self contained villa and you love this place! Very Private and quiet location, Good customer service. Cars/Bikes organized to hire. Rooms are very clean and nice. Kitchen and swimming pool, lot of indoor/outdoor living space for a couple or with a family with children. the staff at the villa are exceptionally friendly, upon arrival, we were greeted with 2 of their staff (security and housekeeper) welcoming us. quite a nice experience staying there. ideal for honeymooners, long stays on island in quite surroundings. there is no restaurant but you have room service by menu – the prices is not expensive or you can buy food in the tesco-lotus store not far from villa (10 min drive) . the breakfast is nice. We spent 1.5 hours driving around in circles looking for this villa. It isn't a hotel or resort. These are all standard stand alone residential villa homes. The contact person provided by Agoda refused to answer their phone. After multiple phone calls, the person still wouldn't pickup their telephone. He kept SMS'ing us that he was busy, so we had to call Agoda to complain about the situation as we couldn't find the villas. After working out the details with Agoda, we were able to find the villa but the management and reception wasn't around. There is no reception area or management for the complex. If you need any sort of service, do not stay at this place. The security guard helped us phone the maid and she came out telling us that we didn't have a reservation. We called Agoda again and they were able to get a hold of someone to confirm the reservation. Overall, the MANAGEMENT IS VERY BAD here. They don't have their act together. Since they didn't think we had a reservation, the rooms were not made or clean. We stood outside for 30 minutes at 11pm waiting for them to clean up the rooms. The rooms are pretty nice but the pillows are really big and firm. If you have neck problems, the pillows might not work for you.